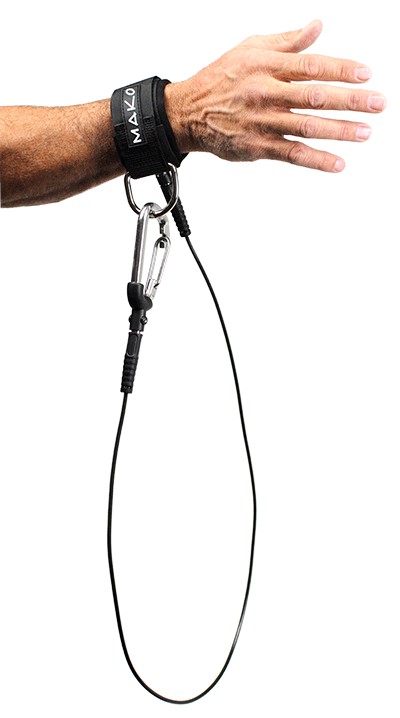 The MAKO Spearguns Freedive Lanyards are designed specifically for line diving. Each lanyard includes a completely hermetically sealed steel cable that is molded inside a super abrasion resistant outer jacket for un matched strength and redundancy. Our Lanyards are AIDA APPROVED! Ensure your lanyard has swivels on both ends! 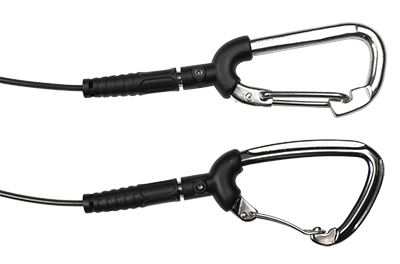 The MAKO Spearguns Freedive lanyards have 360 degree pivoting swivels at each end of the cable for safe & tangle free operation. 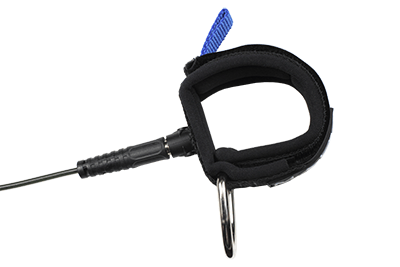 The Velcro wrist cuff is both comfortable and durable and includes a quick release pull tab as well as a stainless steel D ring for attaching carabiner when not in use. Choose between the Stainless Steel Carabiner, or the Aluminum Carabiner. The MAKO Spearguns Freedive Lanyard with stainless steel carabiner is recommended for constant weight diving, while the MAKO Spearguns Freedive Lanyard with the aluminum carabiner, having a slower decent rate, is recommended for no fins and free immersion. Great product. High quality and the best price I could find. I purchased two with the stainless steel clip for about the price of one from a competitor. I'm very pleased. I use the stainless steel version for constant weight and the aluminum for free immersion/pull downs. The clips have nice big openings for attaching to lines. 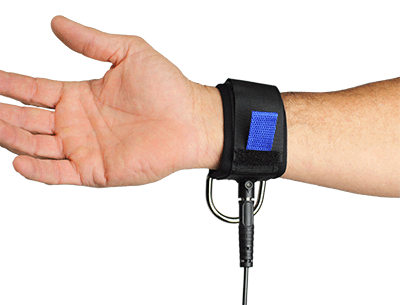 The wrist strap is comfortable and the velcro quick release is easy to use even with gloves on. I've taken them to camps and people like using mine better than higher priced lanyards. If I could only own one it would be the stainless. Secure wrist loop and s-o-l-i-d heavy duty carabiner that stays in front of you and out of the way when doing free immersion. I purchased the stainless steel version for use in a 6 day freediving camp in Mexico. It's solid and easy to use. The cable has swivels at both end to minimize tangles and twisting. The wrist cuff has a nice sized tab you can grab with gloves to rip open the velcro in case it gets stuck on the plate and you need to quick release and bail out of it. Other people in the camp had other brands and everyone preferred mine to theirs. Skip the aluminum carabiner unless you are certain you want it. They tend to float along and cause more tangles and problems in my small bit of experience. The SS sinks nicely and follows you along.